(The information below has been compiled from varios internet sources) . The Wine: The Yarden Chardonnay is the flagship wine of the Golan Heights Winery, whose philosophy lies in the details and perfection. The wine aged in French oak barrels, of which some 50% were new, for seven months. Critics have scored this as one of the top five Galilee wines: Wine Spectator gave the 2014 vintage a score of 91. This is one of the most popular wines from the region. The Winery: The Galilee is the most northern, and generally considered the best, appellation in Israel. The highest quality area within the appellation is the Golan Heights, the coldest region in Israel. The vineyards on this volcanic plateau rise from 400 meters (1,300 feet) above sea level to 1,200 meters (3,900 feet) and receive snowfall in the winter.One place in Israel enjoys ideal conditions, as in Bordeaux or Tuscany, for producing internationally renowned wines: the Golan Heights. In this breathtaking strip of land, everything begins with the right conditions – volcanic basaltic soil, suitable topography and cool high-altitude climate. This unique combination is what gives the Golan Heights its second name – “wine country.” Over the years, this area has become well known for producing outstanding Chardonnay. Golan Heights Winery, founded in 1983, is located in the town of Katzrin. From the day it was founded, Golan Heights Winery, in both philosophy and actions, has focused on in-depth study and research of the terroir of its region and vineyards. The Winery is continuously analyzing the impact of our local terroir on the way various varieties grow and realize their latent potential. This is done in a continuous, multifaceted and dynamic learning process requiring significant investment, including the development of unique technological methods, while leveraging our experience and creativity. The 28 vineyards, which cover over 600 hectares (1,500 acres) are divided into some 430 blocks (as of the 2016 harvest). The fruit of each block is cared for individually as the grapes are grown, harvested and brought to the winery. The grapes from each block is stored and handled separately throughout the winemaking process until the wine’s character and final blend are determined. The Wine: This 100% Cabernet Sauvignon captures the essence of grapes grown at the latitude of 900 meters in the unique, cool climate of the Gush Etzion region. For 19 months, the wine matures in oak barrels until attaining a flavor that is complex and elegant, with fragrances of cassis and berries. Deep, dark red, toward black. Intense aroma, dominated by ripe carob and pecan. Full-bodied with firm tannins and a long finish with subtle fruit. Alcohol contents: 14.5%. The Winery: Located in Katzrin, built on the site of an agricultural village from the Mishnaic period in the Golan Heights. It is Israel’s third largest winery. In 2012, was named New World Winery of the Year by Wine Enthusiast Magazine, it incorporates sophisticated technology using pneumatic membrane presses, must chiller and computer-controlled cooling of stainless steel tanks. The winery also has an elaborate “experimental winery” for research and quality control of new wines and improvement of existing lines. Techniques include maturation in French and American oak barrels for premium red and white wines. The Golan Heights Winery is credited with starting the “quality revolution” in Israeli wine, creating a brand identity for the country’s vintages, spurring the creation of new wineries and motivating existing wineries to improve the quality of their wines. In partnership with Entav of France, the winery is developing disease-resistant clones and the world’s first insect-free “mother block” and nursery. The winery has won worldwide acclaim and awards at the most prestigious festivals, including wine shows in France. Golan Heights Winery was named Best Foreign Winery at the Prague Trophy 2008 international wine competition. At a ceremony on January 16, 2009, received the award after winning seven medals at the competition. In 2011, won the Gran Vinitaly Special Award as the best wine producer at the 19th International Vinitaly Competition in Italy. The winery earned two Gold Medals for its 2009 Yarden Chardonnay Organic Vineyard and its 2008 Yarden Heights Wine. 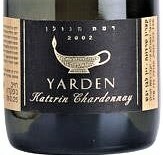 Its 2004 Yarden Cabernet Sauvignon was the first wine from Israel to be listed on the Wine Spectator Top 100. The Wine: This wine is a blend of equal parts of Cabernet Sauvignon and Syrah. The best parcels are selected yearly to create this premium wine which stands as an illustrious ambassador of what Lebanon has to offer; with its dark purple color and cedar aromas, this is a powerful wine that will reward the patience of those who cellar it for 5 to 8 years and even more. Decant it and enjoy it with braised lamb, Moroccan Merguez tagines or even a vegetarian lentil and smoky eggplant stew. 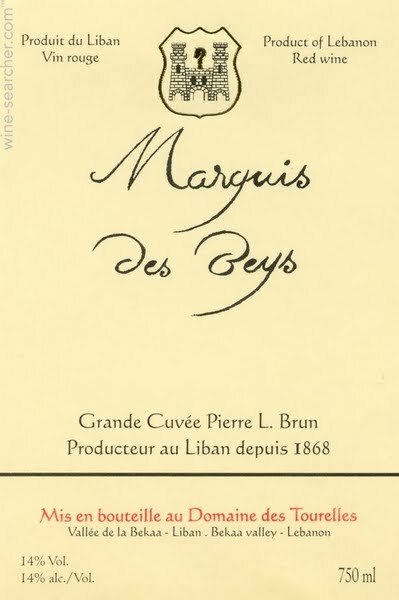 The Winery: “When Frenchman François-Eugène Brun laid the foundation stone of Domaine des Tourelles in Chtaura back in 1868, he couldn’t have known that he had just begun to write the story of a marvelous Lebanese wine. Honoring this great heritage of artisan know-how and quality, Domaine des Tourelles produces today the best of wine, arak (its famous label “Arak Brun”) and liqueur. The prestigious Property is classified among the finest boutique wineries of the Middle-East, described in the Financial Times as “the most seductive winery” in Lebanon. Domaine des Tourelles’ bottles have ever then conquered admirers all around the world with more than 10 countries proposing its labels. Discovering Domaine des Tourelles is a must to enter the charming world of Lebanese wines. Built in 1868 with stone walls and wood ceilings following the traditional Lebanese architecture, the winery knew several expansions throughout the years. In the 20th century, red roof tiles were added and the edifice took its final form that remains till today. The winery was built following an intelligent ancestral design that takes advantage of the best outdoors’ factors (keeping an ideal ambient temperature all year long). These are some of the highest altitude vineyards in the Northern Hemisphere at 3,280 feet above sea level. Benefiting from 240 days of reliable sunshine and the dry climate in the Bekaa where most fungal diseases are not a real threat, all grapes are grown organically. The Wine: Powerful aromatic bouquet dominated by aniseed, grinded fresh whole black peppercorn and prune. Long finish with exotic spices. Strong texture. The wine is blend of equal parts of two turkish native varieties, Öküzgözü and Bogaskere. Öküzgözü grape is one of the two native grape varieties of Elazığ province (the other one is Boğazkere), located on the Anatolian plateau at the north of the Taurus Mountains. The various sources of the Euphrates River in this region soften the normally harsh climate of Eastern Turkey. Öküzgözü has rounded, dark colored grapes, which are the largest among the grape varieties grown in Turkey. The Turkish word öküzgözü literally means “ox eye”. On the palate, it is medium bodied, producing round, fruity wines, with some tannins and rather lively acidity. Alcohol level is usually between 12.5% and 13.5 %. Öküzgözü is high in acidity, medium to low in alcohol content and its medium body offers a delicate bouquet. It has fruit and floral flavours, makes a soft and easy to drink wines. Due to its acidity, it can age well. Wines from the Öküzgözü grape have a light red colour like Pinot Noir. Boğazkere is a grape variety and a Turkish wine originated from Diyarbakır Province near the Tigris river in the southeastern region of Turkey. 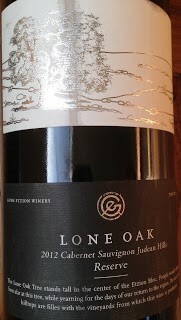 It is a dark red rich grape and the wine is well structured with dried fruit and fig flavors. It also gives its name to a wine produced from the grape by the certified Boğazkere vineyards in Diyarbakır. The characteristics of this wine are strong body, very enjoyable long finish, dark red color with dark blue hue, and rich and strong aromas of dried red fruits and spices. It is good for aging up to 10 years. It is recommended with red meat kebabs, turkey, salmon and cheese, especially eastern Anatolian cheddar or Gruyere cheese. The Winery: The Büyülübağ winery is on the Avşa Island, Marmara Sea in Turkey. The island with a history of viticulture and wine making since 1800’s, has a unique microclimate and sandy-loam soil. Buyulubag winery & vineyards has been founded by Mr. Alp Toruner at 2003 in Avsa Island / Turkey to produce top quality wines. With its unique microclimate Avsa Island is located on inland Marmara Sea and has a history of winemaking since 1800s. Mr. Toruner knew that in order to produce top quality wines, the most gentle winemaking techniques should be used and also the grapes and the wine should be handled with utmost care. Mr. Toruner made a long research for designing the winery together with the Architects Mr. Erdal Tasayul, Mr. Engin Yenal and the Oenologist Mr. Francois-Xaviyer Gaboriaud focusing on the product quality. As a result, at 2005, Turkey’s first and only Gravity Flow Winery construction is completed and the production has started. The winery is located in the middle of vineyards, and has wine producing capacity of 200.000 liters annually. 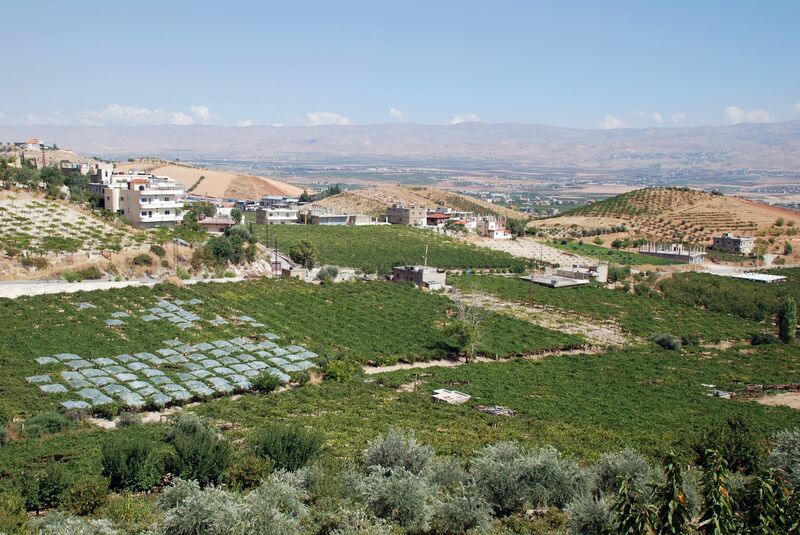 The following note offers an overview of the wines of Israel, Lebanon and Turkey and was compiled from various sources by Jairo Sánchez, Jorge Claro, Macello Averbuga and Alfonso Sánchez. This entry was posted in Meeting Abstract and tagged New World- Old World, Pinot Noir. Bookmark the permalink.